This site sits on land that those who are Spiritualists or have the ability to tap into the Spiritual side would call the land sacred or Spiritual, due to the fact Native American Indians populated this area and much of Willow Springs, IL and known as Indian Village 23 - Willow Springs. Archer Avenue is the road in front of the building and was an Indian trail. A map painted on deerskin showing the Des Plaines River area during the Potawatomi occupancy outlines the woods behind The Irish Legend as Chief Cagmega's Ridge / Potawatomi Ridge Trail. Directly North of this building is the Des Plaines River and shown on the deer skin map as Spring Lake. That is the area that fur trading between Native Americans and French traders who traveled the Des Plaines River. Less than a mile northeast, you will find the Native American Healing Waters. It has been felt by those of Native American Heritage, that there is an Indian Burial Ground that one passes by when taking one of the trails that are in the woods behind The Irish Legend. When I was hosting paranormal nights and tours, I would take the group on the trail to the area of the burial ground. In the past, spiritual encounters, feelings, and energy have been felt along this area. The location is also the place of my very first ‘Circle of Energy' in 2004 that produced Orbs seen with the naked eye, Native American Spirits communicating with individuals in the circle and much more spiritual experiences. What also adds to the possibility for the reason of this whole area's paranormal/spiritual activity is that during the 1890's and early 1900's, Indian burial mounds and gravesites were discovered throughout the village and destroyed by early residents in the village. Those actions do not make Spirits happy. Willow Springs was discovered by Chicagoans in 1854, as a beautiful picnic spot, on the Des Plaines. The land that this building sits upon used to be a favorite, tree-shaded picnic area known as Spatis Grove. By 1883, railroad travel south from Chicago to Willow Springs was a reality. From 1892 to 1899 the construction of the I & M Canal brought more people as well, many of them Italians, adding to the growing numbers of people who called the place home; mainly Germans, Poles and Irish. Ice harvesting off the river became a large money-making endeavor for the people living here. While ice harvesting was still a big business in Willow Springs in the early 1900's, other less wholesome businesses migrated south from Chicago as well. Gambling, drinking and the world's oldest profession found out that Willow Springs was a profitable place to set up shop, as there was no police department, only the Cook County Sheriff's Department, who had bigger fish to fry in the early 1900's than vice offenders. The building The Irish Legend occupies is said to have been built between 1915 – 1918 and was called the Oh Henry's Roadhouse when it was built and is said to have been most likely constructed with Mob money. This building has been the home of many establishments, including 'Oh Henry's Roadhouse' / O'Henry's 2 / Cavallone's West/ Rico D's, Frankie's Roadhouse, The Stag's Head and now The Irish Legend. 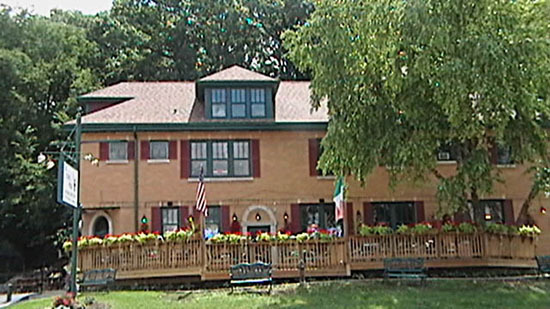 The Irish Legend is said to have been built by the original owners of The Willowbrook Ballroom across the street, and that is the establishment that Resurrection Mary has been known to haunt. At the time the Willowbrook Ballroom was built in 1921 it was called the Oh Henry Ballroom, it was originally a picnic grove, and the owner made an open pavilion for dancing and then turned it into a ballroom. During the 1950's an illegal gambling casino that occupied a space in the lower level of the Willowbrook Ballroom was shut down. January 16th, 1920 began the era of prohibition with an increase in the locations in the village that were speakeasies. The roaring twenties also found the surge of private ‘moonshine' stills in the town and prostitution was a common thing. During the prohibition era a gangster named Edward Zion lived in a house just east of Willow Springs Road on Archer Avenue, he was a West Side gunman, a saloon keeper, and a freelance bootlegger. In 1926, those of the Capone gang gunned him down in his back yard. Even as late as 1974 and the 1980's, interesting business establishments operated in Willow Springs, one being The Holiday Health Studio and was eventually discovered to be a massage parlor alleged to be complete with prostitutes. In the 1980's the town moved to ban male strip shows in the city. Being a Spirit Feeler, Psychic and Medium, I have always felt that the Spirits of the building decide who stays and who leave by who makes them happy and seen owners over the years come and go. Some individuals become owners of the location in the past and then embellish the stories of the spirits of the place. There is a story of a Witch who came into the building a few years back when one of those owners was telling far-fetched stories about the spirits of the location. She felt and knew the spirits were not happy, so she placed a spell to protect the building and the spirits within and those who travel through, from any other owners who embellish the stories of the Spirits of the land. It is said that the owner at the time only lasted about six months after her visit. What happened was the owner started pushing a story of a little boy whose spirit was part of the building, the owner claimed a little girl spirit from the Ashbary Coffee House more than a mile away would travel from there to play with the little boy spirit at this building. There was never a little boy spirit that lived in this building, as it was a brothel and speakeasy in the 1920's. I witnessed the creation of the story by the owner, as a paranormal book carried the story of the Ashbary Coffee House and the spirits of a family that remained at that location from years past. Therefore, once the owner read that, he created the story of the little boy, I decided to pull out of doing the paranormal tours at the site under that proprietor. It is said that allegedly the owner became obsessed with telling the story and believing it, the more he told of it, the less the public believed him as they knew from the history of the spirit activities and that the location was a speakeasy and brothel in the past, not a child's playground. Nor were the spirits of the place happy, soon he closed the operation. The owner that followed him pushed the same little child story and more outrageous stories. He did not last long at all, as he ran the business to the ground, nor were people showing up for his paranormal activities stories. That owner even tried to run a ghost tour there after the electric was shut off, the Willow Springs Police came knocking on the establishment's door the night of the ghost tour because he was not allowed to run a business without electricity in the building. The establishment never re-opened. Another victory for the Spirits of the location and protection from those who do not believe and the reason I did not become involved with that owner. Today The Irish Legend stands proud; it has been cleaned up and expanded. The owner and management respect the fact that they are not the only ones who own the building, the spirits of the past call it home and it is open to those spirits that decide to visit. The floors of the building. The basement: When back in the late 1990's when I first visited the location, the stairs were open stairs. It is said that when the place was a Speakeasy, a bartender fell in love with one of the ladies of the night, who was also the girlfriend of a gangster. The gangster arranged that the bartender had to go to the basement to get something, the gangster was waiting under the stairs, as the bartender walked down the stairs, the gangster reached between the steps, grabbed the ankle of the bartender. The bartender started to fall, hit his head on the wall over the stairs, and fell to his death with a broken neck and his body laid dead at the bottom of the stairs. It said then the gangster then went and beat the woman to a bloody death. The furnace area at one time was the old boiler type of heating, and a location I had my worse experience of being drained in my earlier days at the building. I and other Psychic Feelers, feel that the boiler was used as a torture device also. The mobsters would abuse individuals at times to force them to speak or just torture people for whatever reason. This area kept drawing me to the walls that surround the furnace and drained me so badly that I was laid up in bed for three days. After that never again did I go near the area of the wall behind the area the boiler once stood. Right in the area in front of the boiler area and by the floor drain, a Spirit Seer during a tour I held a few years ago, seen a bloody woman crawling along the floor and trying to reach out to my hand with hers. Could that have been the woman the gangster beat to a bloody death over her love relationship with the bartender who was killed at the stairs? The tunnels that were once on each side of the basement, one set ran to the forest behind the building. They were used for quick escapes or to drag bodies out into the woods, either living or dead. The other set of tunnels ran to the basement of what is now known as Willowbrook Ballroom, and it held a full casino in its basement. The tunnels were a passageway so as not be seen entering or leaving the Oh Henry Road House. The back left wall (now a cooler), was a false wall and experienced as such by Shanahan, the back end had a secret entryway, that once you entered, it became a bit of a maze that had a hidden room, with seats built in, a ledge to hold drinks. The area was a hiding place and a place to hide guns and such things not wanted to be seen. The Speakeasy bar was just a straight bar that ran from the east entry door to the wall before you entered the open space. The windows on the main floor are not at a normal height; they are above the head in a sitting position. The windows are this way the owners claim, for the fact if any bullets found their way into the building, they would enter the building above the heads of those who may be sitting inside. The old door that once was hanging at the woman's restroom on the first floor had a 22-caliber bullet hole in it; the door now sits in the attic. Also to this day, women entering the bathroom do not enjoy lingering inside of it, do to the feelings they feel while inside the restroom. Other times they have no choice, as the door will not allow one to leave, as it remains locked or will not open as if someone or something is holding it closed on the other side of the door. As one makes their way up the stairway to the second floor, the brothel area. The start of things begins, many have claimed that as you start turning up the staircase, the air gets thick and you feel someone standing at the turn of the stairs looking at you are coming up the stairs, many feel it is the Madam of the brothel. Once you get on the second floor, you come to a long narrow area that a couch sits at, that more than likely was where the ladies sat and waited, or chit chatted between customers. One has to remember that this was not a huge floor, considering what went on. It more than likely was just a location to conduct their business and not a location to call home. Right behind the couch sits a small room that today is an office room and more than likely used as such during the day of it being a brothel. If you consider the area of where the couch is, and this little office looks into the area, thus allowing a view of the women in that couch room. As you enter the hallway, the first room on the left is the kitchen area. What building having woman occupy it, would not have a kitchen area? If you look to the right wall as you enter, and open that long wooden door, you will find a sign of those times, ironing board built and hidden in the wall. The kitchen area has its horror stories, basically taking place behind the closed door into the other long narrow room that sits behind the door. On paranormal nights, I offered each individual the opportunity to enter the room and then after all have done so, and I ask what they felt, I then tell them the story of what he and others have picked up in the room. The next room on the left is the bathroom. As you enter and look behind the door, you will see a large space; it has been felt by me and other Spirit Feelers, that a woman was choked to death in that space. I advise individuals on the paranormal nights to enter the open area and see what they feel. Also on one the tours of the second floor, an individual standing in the hallway took a photo of the bathroom, non-flash and directed along the wall that the mirror sits. What appeared in the photo, seemed to be the Grim Reaper. Once you exit the bathroom area and make you way down the hallway, on your right will be another room, larger than most, as you enter the room, you will notice in the center, and area that a wall ran from one wall to the other, thus dividing this room into two rooms. The room is believed by those who are Spirit Feelers, to be the room that belonged to the Madam, who was also a working Madam for a select few, mostly those that kept the business from being shut down. The other side of the one time dividing wall would be the second room, basically just nicely said “an activity or play room” for the ladies and their customers. As you leave the second room, across the hall is a small activity/playroom. As you go down the hallway, you will see to your right, buzzers, old fashion way of communication between floors, and an alarm. All were used to be informed of if the place was being raided or to communicate between floors. Then You enter a large room, open room that maybe at one time drinks were served, men met and talked with the women who were not busy and picked the one(s), that would provide the entertainment for the man's visit. Along the area of the left wall on the floor, there is a huge stain on the wooden floor. It is not a stain of blood as this floor was sanded at least five times and the stained area remains. What Spirit Feelers have picked up, is a body was left there to die and stayed for awhile and all that Spirit Energy, seeped into the wood, thus marking the area of death for ever to remain as a reminder of what went on at one time in this building. Across the room along the wall, is a door and opening that door you enter a small room with a stairway running down to a private entryway up or down from the brothel, separate from any other entryway into the second floor. The stairway also holds the reminder of death, as it has been felt that at least one individual has been pushed to their death from the top of the stairway. Then once leaving that area, you walk into the fireplace room, an area that was like a smoking area where the men could sit and chat or talk business. This area has had paranormal activity at times on the paranormal tours, setting off paranormal tools, ability to pick up EVP's, the rocking chair moving on its own, and much more. Then the room to the right is felt by Feelers to be an area for one who stayed the night (management), would crash at along with being a storage area. 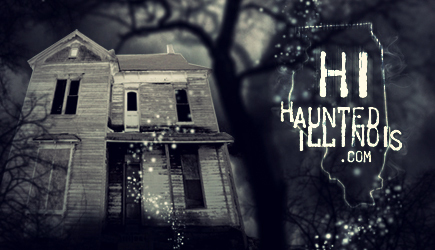 The closet has had it paranormal effects on visitors during the paranormal tours. Individuals are invited to enter the closet area and see what they pick up by way of feeling or with tools. It is not a good sense; once a woman was moved to tears and ran out of the room into the smoking area room, as she picked up what went on in the closet area without being told in advance. Spirit Feelers get either a male or female had their throat slashed in that closet, a large enough one that an individual could be waiting in without being seen until it was too late. The attic is a large wide-open space that covers the whole original building. An area individuals could view those who would come and go, either on the property or the road coming to the property and view all sides of the building. It is easy to see that the attic as a lookout tower. Many paranormal feelings come and go in this area, as do the spirits either of the building or those visiting. The attic is the only area that I did my Séances, and those who participate in the séances have felt intense paranormal activity, and paranormal activity has been picked up with paranormal equipment. The one feeling that is strong in the attic and comes from late 1960's to mid 70's that the attic at times being used as an area of torture, either for pain or pleasure. There used to be a large steel pull chain hanging right in the center of the attic from a beam. What is felt by Feelers is that particular area being used for individuals to inflict pain/torture on others. October 18, 2010 - Finnigan and his crew from 103.5 Kiss FM take a tour with Chicago Psychic and Paranormal Host Edward Shanahan through The Irish Legend, an old speakeasy in Willow Springs, IL. October 27, 2010 - At The Irish Legend in Willow Springs, IL. 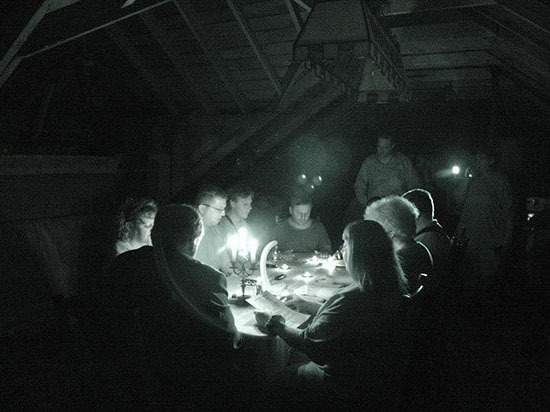 The goal of Edward Shanahan with his 'Circle of Energy Seance' is to have the Spirits interact with those who participate, so that they experience the Spirits that are at the locations and become the Medium(s), during his 'Circle of Energy Seance.' On this night something happened that was a first for the location and is seen here.